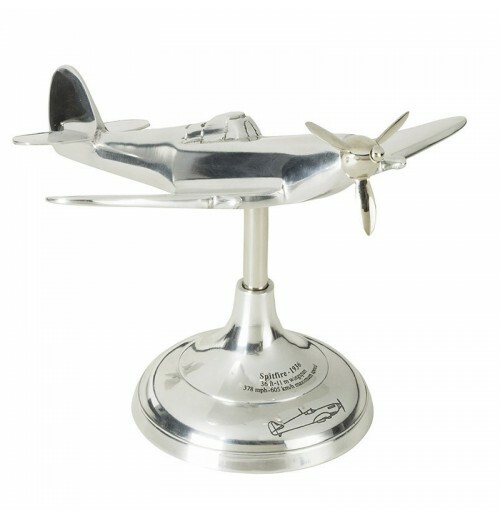 Legions of soldiers whiling their time away in desolate trenches during the World Wars created a special kind of folk art, which became known as trench art. 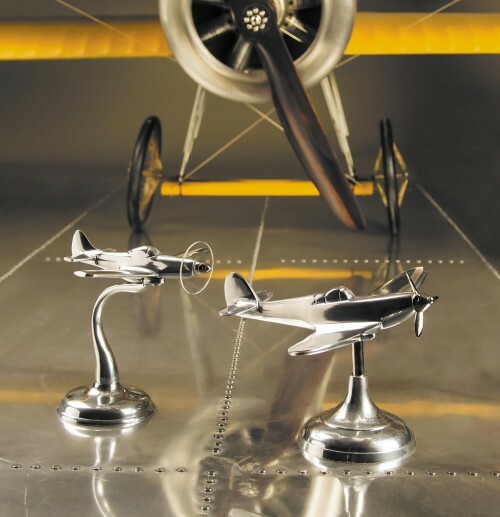 Our iconic aluminum desk fighter planes, a Mustang and a Spitfire, are exact copies of WWII original trench art models. 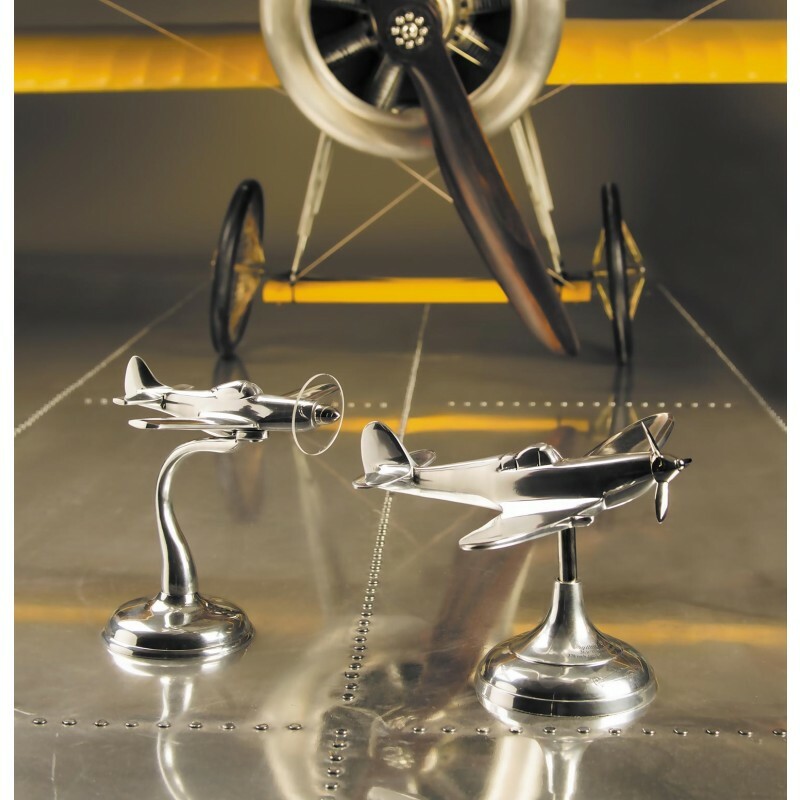 The originals were probably crafted by plane mechanics stationed in isolated airfields in the British Isles.